Fine Gael Kildare South TD Martin Heydon has today welcomed the signing of a Licence Agreement between the Parish of Narraghmore and Kildare and Wicklow Education and Training Board (KWETB) for the use of the buildings and lands at the former Crookstown NS. The signing took place in Crookstown yesterday (Thursday). 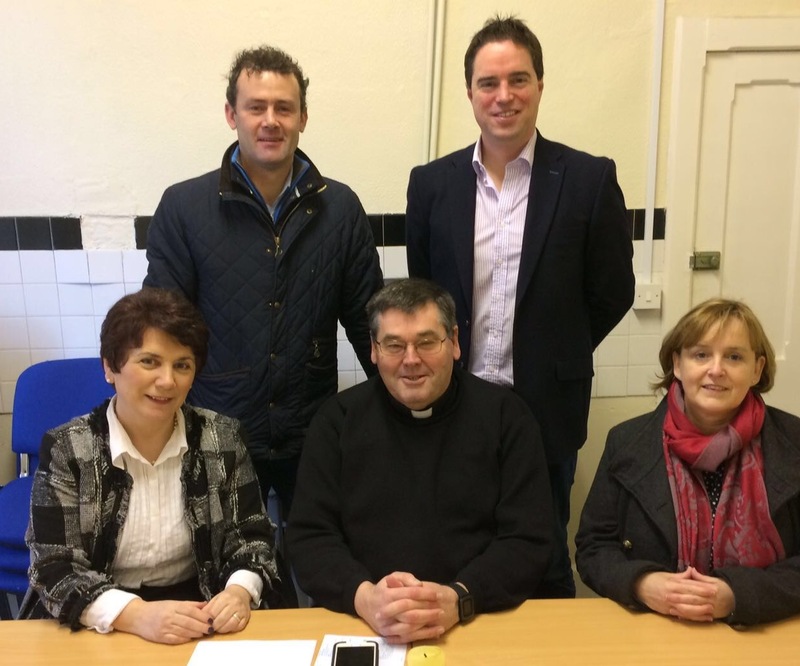 “The formal signing of the licence agreement yesterday for the use of the old school building at Crookstown is the culmination of recent talks between the KWETB and the Parish of Narraghmore on the use of the school as a Community Education Facility. It allows the project to now move to the next stage as KWETB will formally take over the building from next Thursday. “As a past pupil of the school and local resident I was happy to be able to facilitate these discussions and see progress now being made. There is a lot of excitement in the area as to the potential of the new community education facility and I look forward to working with the local community and KWETB in making their plans a reality.